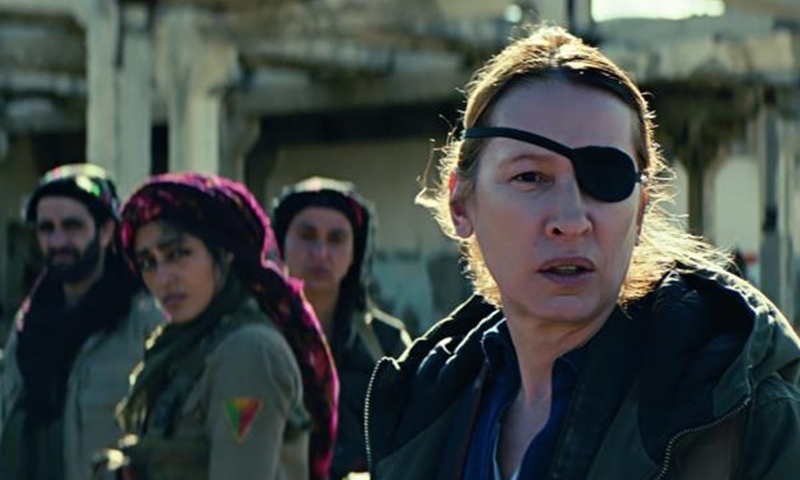 A US judge has ruled that Syrian President Bashar al-Assad’s government is liable for at least US$302.5 million in damages for its role in the 2012 death of renowned American journalist Marie Colvin while covering the Syrian civil war for Britain’s Sunday Times. US District Judge Amy Berman Jackson said in a ruling made public on Wednesday that the Syrian government “engaged in an act of extrajudicial killing of a United States national”. The civil lawsuit filed in US federal court by Colvin’s family in 2016 accused officials in Assad’s government of deliberately targeting rockets against a makeshift broadcast studio where Colvin and other reporters were living and working. The Syrian government was not involved in defending the lawsuit. As in other cases in which foreign governments are sued in US courts, Colvin’s family is likely to face an uphill battle in recovering any of the damages. The judge wrote that “a targeted attack on a media centre hosting foreign journalists that resulted in two fatalities and multiple injuries... is an unconscionable act.” The judge ruled that additional damages would be calculated at a later date. Colvin’s sister, Cathleen Colvin, said in a statement she hoped the ruling will “serve as a deterrent against future attacks on the press and on civilians”. Lawyers for the family included as evidence a copy of an August 2011 fax that they said was sent from Syria’s National Security Bureau instructing security bodies to launch military and intelligence campaigns against “those who tarnish the image of Syria in foreign media and international organizations”. In a 2016 interview with NBC News quoted by CNN, Assad said Colvin herself was at fault in her death. “It’s a war and she came illegally to Syria, she worked with the terrorists, and because she came illegally, she’s responsible for everything that befell her,” Assad said. A biographical film about Colvin, called A Private War and starring British actress Rosamund Pike, was released last year, bringing fresh attention to her career. US courts periodically handle lawsuits filed against foreign governments accusing them of liability in the death or injury of Americans. For example, a US court on Dec 24 ordered North Korea’s government to pay US$501 million in damages for the torture and death of US college student Otto Warmbier, who died in 2017 shortly after being released from a North Korean prison.